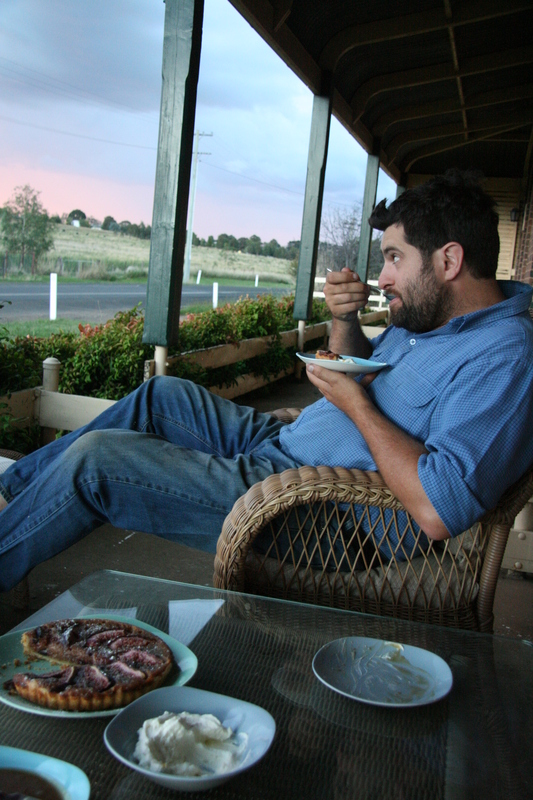 Catch Up – Part 3 – March 2012 (The Fortunate Life – A Year In the Life of a Farmer’s Wife) | The Farm Gate by Nashdale Fruit Co. The second story posted on The Fortunate Life (March 2012) was “The First Figs”. Being the farmer’s wife, I often get stuck indoors. Sometimes when the weather is really bad I even hope to be indoors. But not today. After so much horrible weather and an almost non-existent summer, the weather is finally beautiful. Unfortunately though, today I am housebound, doing some much needed bookwork and stealing glances out my study window at the amazing weather. The view over local vineyards that lead up to Mount Canobolas isn’t so bad on the eye either. These are the sorts of days you really hope for when it is harvest time. The work has been piling up. I have mountains of fruit waiting to be preserved, there is farm work to be done and deliveries in town to be made. Not to mention the little man making loud noises in the adjoining room who needs attention (as well as the usual mountains of washing and cleaning). 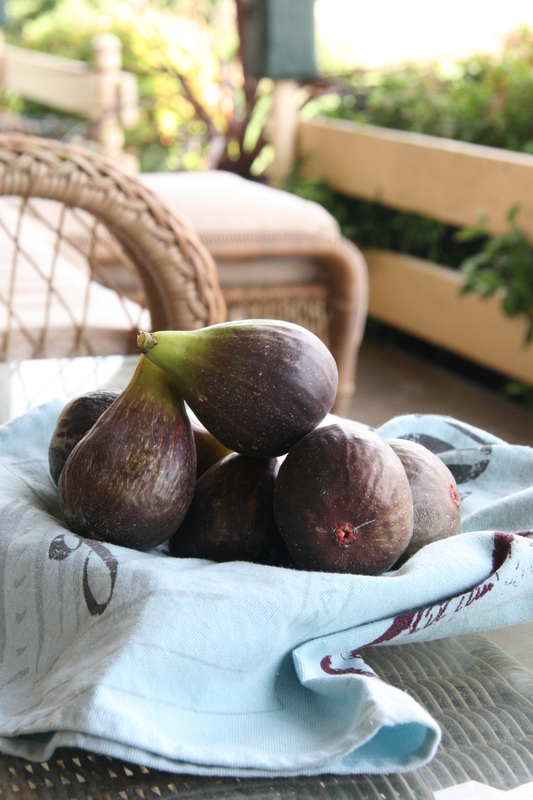 Suddenly, a very welcome distraction arrives at my door: the first delivery of figs for the season! The first crop of figs is always light on and with the wet weather we have had, the fruit has been scarce. But through my door comes a small box of ripe Black Genoa figs straight from the orchard. It has been just under a year since we last had figs in the house. Though it is now impossible to believe, this time last year I was sick of the sight of them. During harvest time, between the grumpy tired men traipsing in and out of the house and endless boxes of produce to preserve, requiring sorting, cutting and measuring, even the blissful fig can become tiresome after just a few weeks. Now however, by the start of the new season, I can’t wait to sink my teeth into some of the plump, lush fruit before me. This calls for a celebratory dish. I decide rather quickly on a fig tart. Last season Little H was a newborn and all I could do to preserve the figs was by making jam. 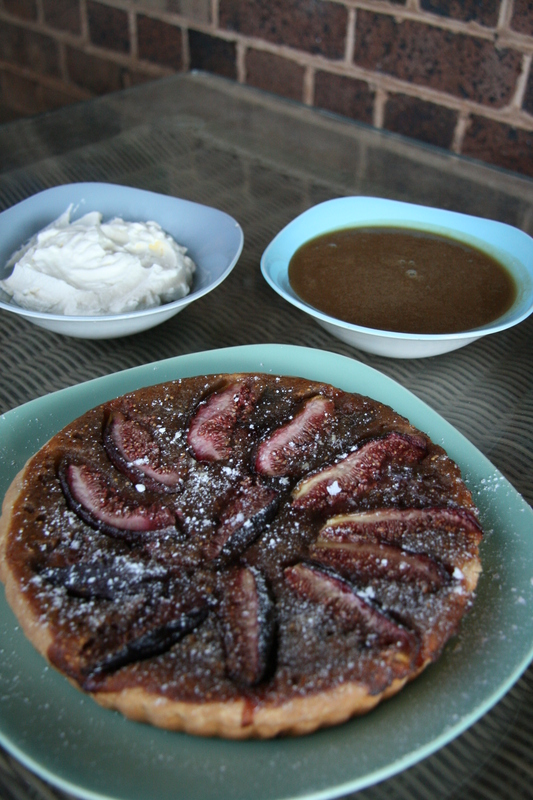 So I have been dreaming about a fig tart for quite some time. Although it is warm today, I know that it will be a little cooler tonight, so I start planning an accompanying toffee or caramel sauce. I hope that this rich, figgy tart will be exactly what a tired and grumpy farmer needs after being out on the farm all day.